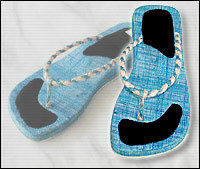 Desc. 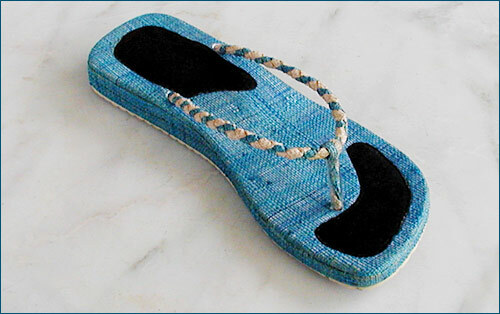 : Sinamay slipper with twisted rope in blue and black leather combination. Desc. 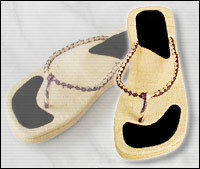 : Sinamay slipper with twisted rope in natural and black leather combination. Desc. 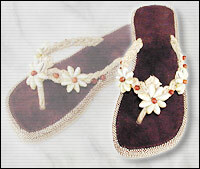 : Brown leather slipper, jute sidings and breaded straps with flower accent. Desc. 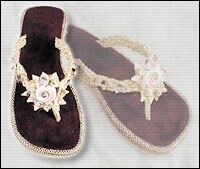 : Brown leather slipper, jute sidings and breaded straps with 3 shell flowers design.